Newhouse School alumnus Ian Eagle ’90, play-by-play announcer with CBS Sports, YES Network and Westwood One Radio, will receive the sixth annual Marty Glickman Award for Leadership in Sports Media at a ceremony Nov. 1 on campus. Mike Tirico ’88 of NBC Sports, last year’s recipient, will present the award. The event is open to the campus community. The ceremony, hosted by the Newhouse Sports Media Center, will begin at 5 p.m. in the Joyce Hergenhan Auditorium, Newhouse 3, followed by a reception. Follow on Twitter at #TheMartyAward. 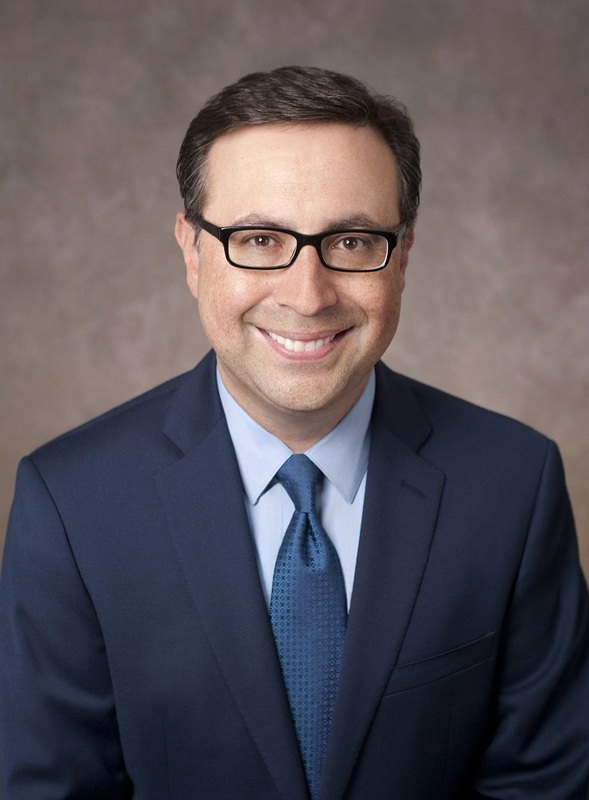 Emmy Award winner Ian Eagle is one of the most respected and versatile sportscasters in the country. He is in his 25th year as play-by-play announcer for the Brooklyn Nets, the last 15 on the YES Network. Eagle is one of the play-by-play voices for the NFL on CBS, is in his 19th year calling New York Jets pre-season games on WCBS-TV in New York and handles play-by-play for Westwood One Radio’s Thursday night NFL coverage. Eagle has called the NCAA tournament for CBS (and later Turner) for the past 19 years, the Army/Navy football game and boxing, and has broadcast the NBA playoffs for TNT since 2010. He has also called the NBA playoffs for TNT and NBA TV and covered the 2012 NBA draft on CBSSports.com. He won individual New York Emmys in 2013, 2016, 2017 and 2018 for his Nets play-by-play work on YES, and won another Emmy in 2014 as part of the YES Nets broadcasting team that won for Best Live Sports Series. He joined CBS Sports in 1998, and has called NFL games, NCAA basketball games and U.S. Open tennis. In June 2014, Eagle and partner Dan Fouts were named the No. 2 “NFL on CBS” announce team. Eagle was named New York State Sportscaster of the Year by the National Sportscasters and Sportswriters Association in 2013, 2014 (with WNBC-TV’s Bruce Beck) and 2016. He was inducted into WAER Hall of Fame in 2013. For 15 years, he and Beck hosted the Bruce Beck and Ian Eagle Sports Broadcasting Camp. As a student at Syracuse University, Eagle was the play-by-play voice of the Orangemen for football, basketball and lacrosse, and was awarded the Bob Costas Scholarship, given to an exceptional broadcast journalism student. The Glickman Award is named for sportscasting pioneer Marty Glickman, a 1939 alumnus of Syracuse University. Communication Access Real-time Translation (CART) will be available. For more information about the event, or if you require additional accommodations, contact Mylinda Smith at 315.443.9252 or msmith@syr.edu.